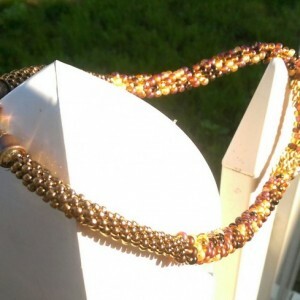 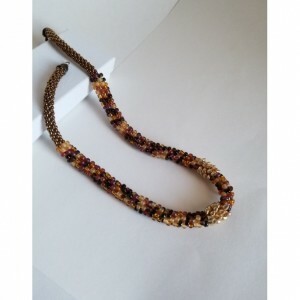 This hand-braided kumihimo necklace features the brown, bronze, and gold tones of late summer and autumn even in the deepest winter part of the year. 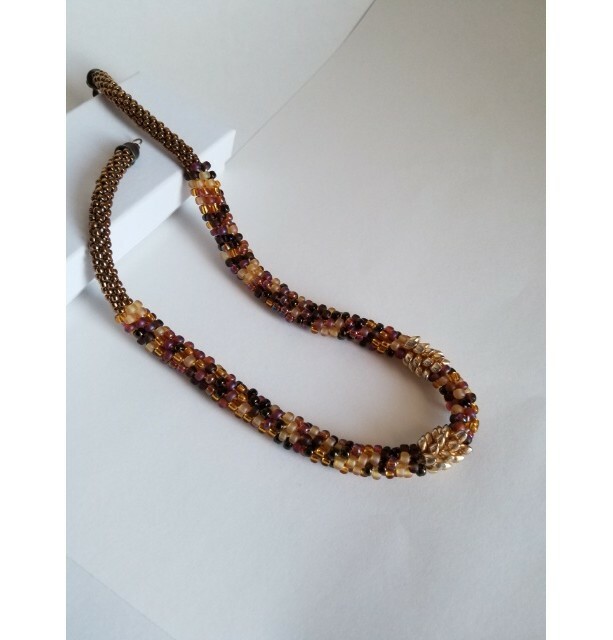 It'll go with any number of outfits and colors. 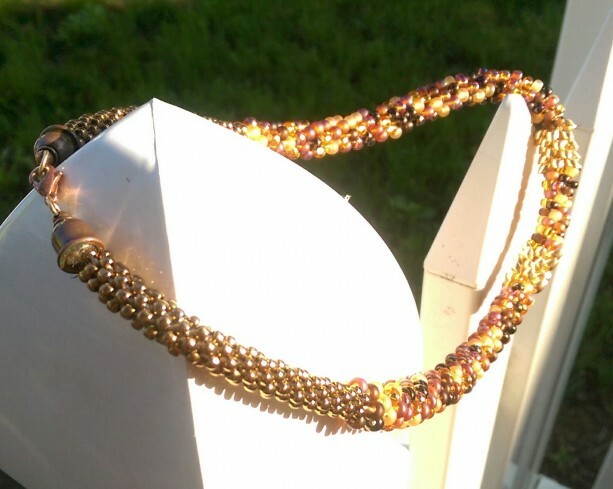 Around 20 inches long, with bronze clasp.